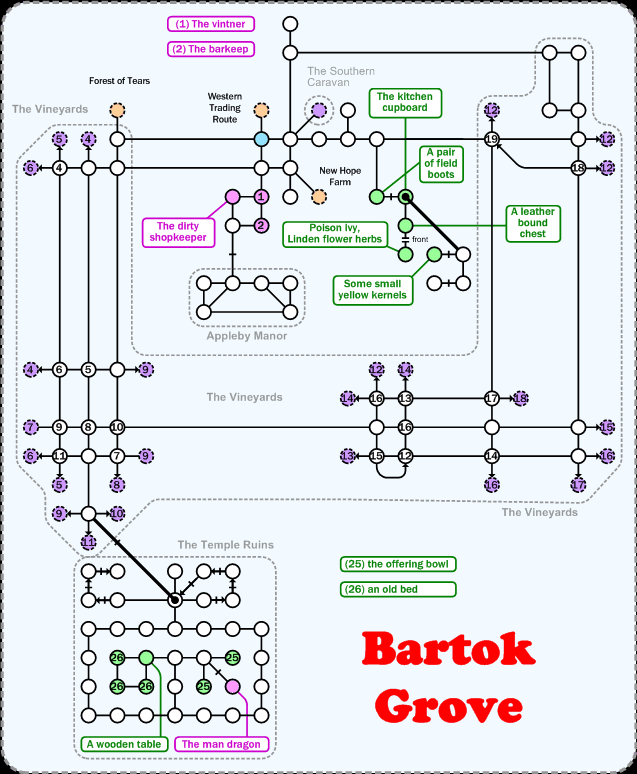 Bartok Grove, most famous for dragon's gloves and rose tinted eyeglasses. If you get lost in the Vineyards, there's a static way out. If you keep going all south, you will always end up in room 12 eventually. From there, just head 2e, 5n, 2w and you'll be back in the village. Walk ( 6w, 2sw, 5w, s ) to get from DH to the room marked in blue on the first image.